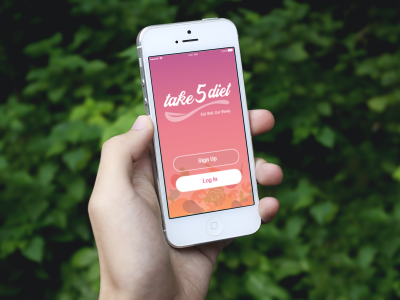 Take5diet is a healthy eating control app that helps track your daily fruit and vegetable intake and promote healthier eating. 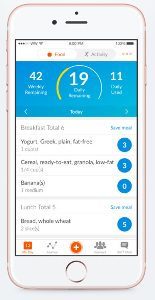 Users can see if they have achieved the recommended 5 a day through weekly or monthly views to better balance the nutrition intakes. The Goals: 1) Research for accessibility to healthy affordable food. 2) Increase awareness of the impact of a healthy food intake upon physical and mental health among the target audience. 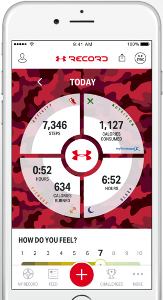 3) Create personalized mobile assistant to help individuals and families to maintain a healthy diet. The Challenge: discover the potential invisible issues that prevent people from having a healthy eating habit. In order to learn the reasoning behind keeping people away from eating healthily, my teammates and I planned out field research to the local community to help us better understand people's concerns and pain points. 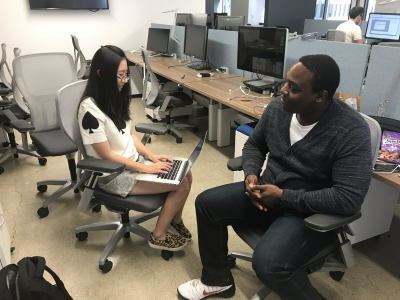 During the field research to local communities (offices, neighborhood, school parking lots, grocery stores, and on the streets of Financial District), we interviewed working professionals, elementary school parents, nutrition experts, and grocery shoppers. We try to ensure a certain level of diversity as having a fair result of the research. We prepared interview questions and recorded the answers from participants to use as the reference for defining the common issues among them. 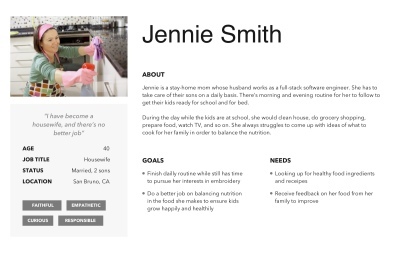 Based on the previous research as well as incorporating the needs, goals, and observed behavior patterns, we created user personas to help us better understand the target audience. After returning from the field research, the team sat down and wrote the findings on sticky notes to review them together. We put the sticky notes on the whiteboard trying to see the bigger picture of the findings. Then divided them into different categories. From the list, we picked the most frequently mentioned (by participants) three categories to further investigate: Pricing and Payment, Location, Cooking Method. After identifying the issues, we refined our objective which is to design a diet tracker mobile application that encourages people to complete daily healthy diet milestones in order to maintain a healthy eating habit. 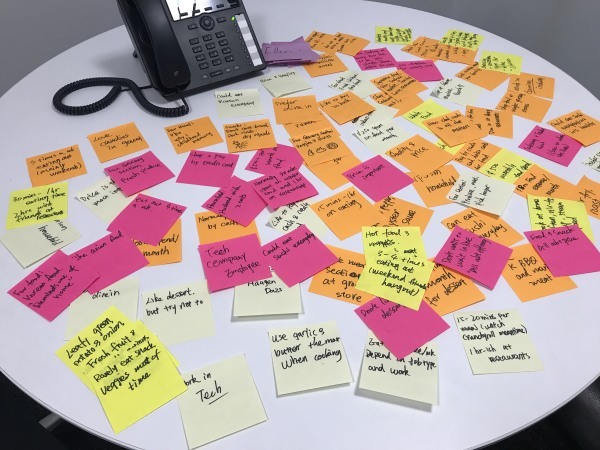 Additionally, we also researched the similar products (like Weight Watchers, My Fitness Pal, My Net diary, etc) in the market for brainstorming and inspiration purposes. Then the team started brainstorming sessions to discuss user experience flow and share thoughts. 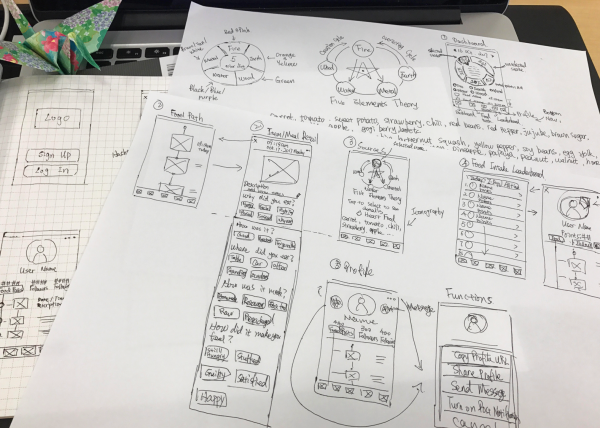 We sketched out our ideas on paper as well as on the whiteboard. Based on the research findings and brainstorming results, I created low-fidelity mockups for stakeholders to review to get further feedback which also gives flexibility for the team to iterate on the design at the early stage and avoid any wastes during the development process. 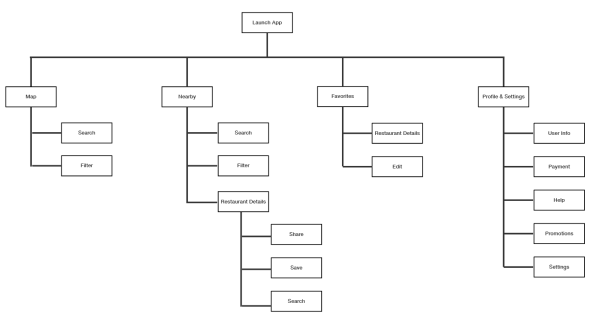 Since the team started the product from scratch, when it comes to hi-fi mockups, a proper style guide has to be set up first to ensure the consistency of future implementation. 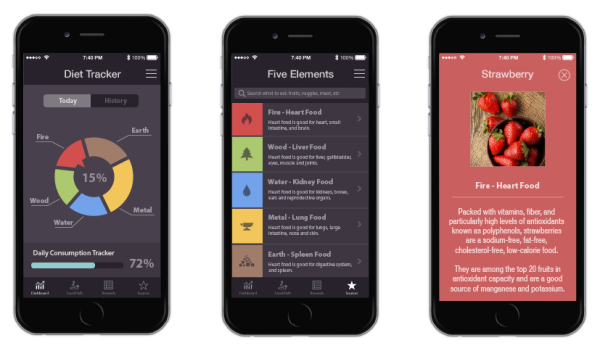 After the style was defined, we moved forward with creating high-fidelity mockups and prototype for another round of usability testing to get feedback and refine the design. 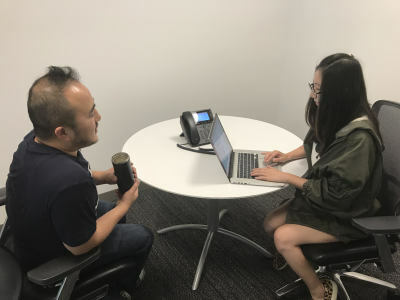 Usability testing is involved in every key stage of the development process to help the team looking for design flaws and pain points to reduce user friction and improve the experience of the product. 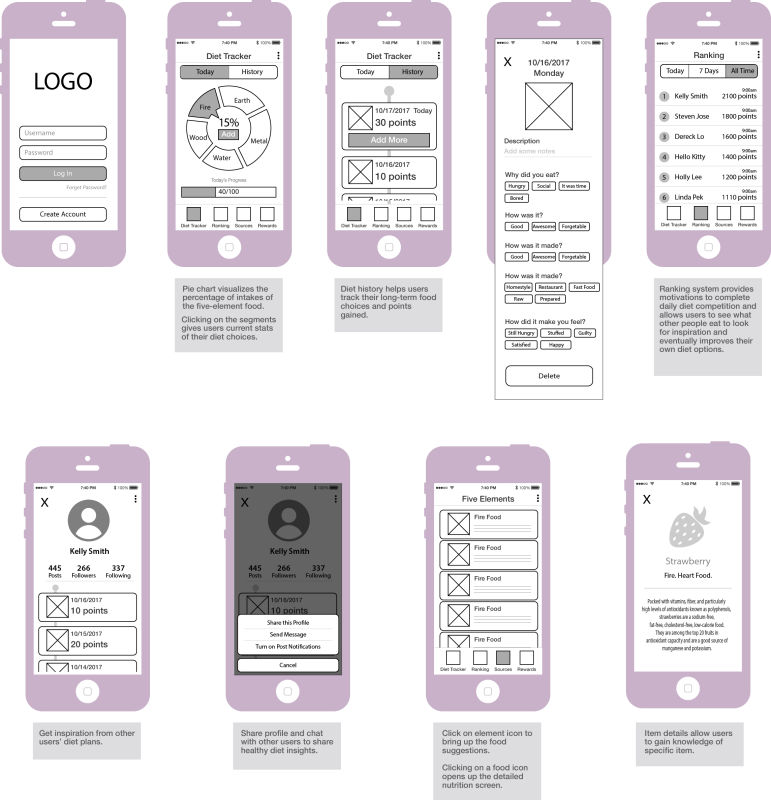 The tools we used for usability testing mainly include pen and paper (paper prototypes) and the online prototyping tool InVision. A/B testing is also used by the team when to compare two versions of the design to see which one performs better among users. Create apple-to-apple test by clearly defining fixed elements and variables is the key to a fair and constructive result.